From 16th to 20th April, at the 11th International Trade Show for Auto Parts, Equipment and Services (11ª Feira Internacional de Autopeças, Equipamentos e Serviços – AUTOMEC), the Aftermarket business line that is part of Magneti Marelli – one of the most important manufacturers of automotive systems and components in the world – presents to the market its main innovations for the industry as well as the largest portfolio of products available on the Brazilian automotive replacement parts market, in different segments. In addition to the expanded catalogue of suspensions and shock absorbers, which guarantees a 98% coverage of the Brazilian automotive fleet, the new Magneti Marelli Extra line of diagnostic equipment will be launched, featuring scanners, air conditioning diagnostic and servicing stations, emission analysis stations and fuel injector test stations as well as the charging system line. All Magneti Marelli Extra products will be sold under special conditions during the trade show. Also, the new line of brake pads for light and heavy vehicles (85% market coverage) will be presented under the Cofap brand. This represents the debut of Magneti Marelli’s Aftermarket business line in this segment. Furthermore, the unit will announce its investments aimed at the expansion of the range of motorcycle parts, a segment where the market share of shock absorbers, suspension inner tubes, engine kits and connecting rods, transmission kits and filters is growing quickly – the highlight being the launch of a new line of batteries and the enhancement of the light bulbs catalogue. 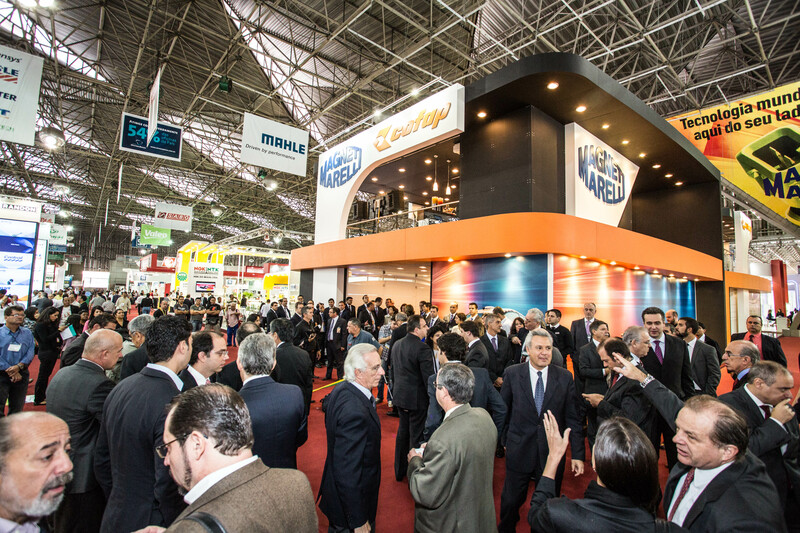 Magneti Marelli’s Aftermarket business line is the second largest in the sector on the Brazilian market, and serves as a commercial platform for the marketing of about 50 product lines, with 12,000 codes. Committed to ensuring the satisfaction of its customers, it maintains a program of promotional activities that is a reference within the market and serves the whole Brazilian territory. Visitors to the Anhembi Exposition Pavilion (Pavilhão de Exposições do Anhembi) will also have the opportunity to find out everything about the Magneti Marelli and Cofap products available on the market, with the support of an engineering staff who will be there to clear up any doubts.